I never imagined myself as a solo traveler. In fact, the idea of it always used to terrify me. So much so that I put it on my “30×30” list. Thirty things I had to do before I turned thirty to prove I was actually an adult. And that was one thing that I never crossed off. Because I was too afraid. And let’s be honest, there seems to be a stigma associated with women who travel solo. Men can do it all the time without question. Men can do many things solo without question. When was the last time you asked a man WHY he was traveling solo? Or even at a bar by himself? And now, given my circumstances, I’ve been forcibly invited to try new things. Such as traveling alone. And now, I find that I have the freedom to choose what I want, do what I want and cross off all the things I’ve wanted to see. As I travel Europe now, I realize how “normal” this phenomenon is for Europeans. They do it all the time. Even as children. I did my first solo trip back in April 2015. After a month of agony and intense work, I decided to book a very impromptu and last minute trip (thank goodness for travel points). I picked a tropical destination that would feel like a getaway but was not international (I didn’t have access to my passport). I went to Maui – an island where I could paddleboard, enjoy the sun and hopefully forget my troubles. When I look back at it now, taking that trip changed my life. In fact, that trip changed my outlook on life. And changed the confidence I had in myself. And now I see why so many people do it more these days. And why others encouraged me to do so for so long. At this point, it’s addicting. Because anything is possible. And because you CAN. Have you ever felt this sense of freedom before? The ability to make the choice of what you want when you want? It comes with a great deal of responsibility. For yourself. When you travel alone, you put your survival, senses, knowledge and confidence to the test. You only have yourself to rely on and only your instincts to follow. You have to think on your feet, plan, be open and flexible and most importantly, you make yourself open to any possibilities that may come your way. This sense of vulnerability is like none I have ever felt before. While I used to be saddled by fear and insecurity, little by little I think I’ve started to build a sense of confidence and ability that I hope will continue to build throughout life. Because with each solo trip, I’ve learned something new about myself; each trip has revealed a new strength or insecurity I have and with each trip, I have become more self aware of my abilities. I’ve also learned to get really comfortable with myself and now understand what it means when people say you have to be learn how to be happy with yourself first. After Hawaii, I took another solo trip to Montreal, a destination I had always wanted to visit. If Hawaii was a trip to help me awaken my spirit and overcome fears, Montreal was a trip to help me build my confidence in traveling solo internationally (sorta – It’s Canada so for the US, perhaps doesn’t feel quite as international). And now I am canvassing a part of Europe going from Paris to Lyon to Luxembourg to Germany to Brugge to Brussells to London by plane, train and automobile. Who knows what this trip will signify. Do I get puzzled looks? Yes. Do I sometimes wish I had company? Depends. Do I get questioned as to why I am by myself? Quite often. I’ve also gotten many invites to dinners out. (Which I have yet to accept one). I’ve met new and interesting friends that I keep in touch with (for which I am thankful). I’ve also discovered new adventures that I didn’t think I would enjoy. I’ve met a new me that I want to continue to get to know. Traveling solo is liberating and empowering. When you realize you CAN in fact do it, your whole perspective of the world changes. Your perspective on yourself changes. 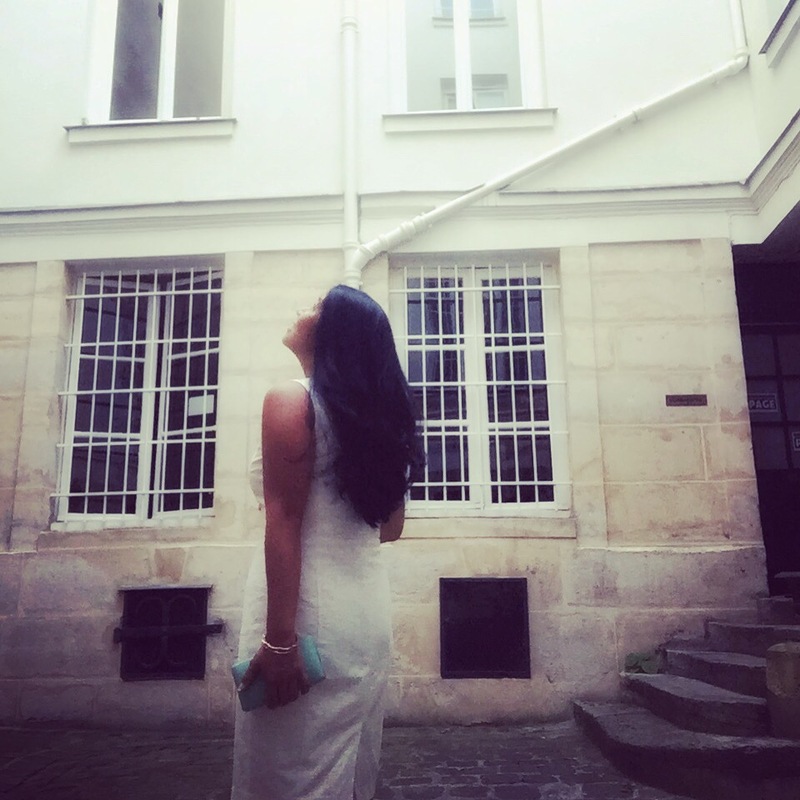 And while I traveled solo quite a bit for work (knowing I’d always meet people on the other end), truly traveling solo makes you feel a sense of accomplishment, freedom and emotional high that I almost can’t explain. Your spirit becomes unbridled and you learn that you are unstoppable. So the next time you see a lady by herself at the bar, don’t be shocked if she’s there by choice. Instead of asking her if she NEEDS you to buy her a drink, ask her instead if you can join HER company. She’s there for the same reasons you probably are and she is stronger than you think. Great post, love it 😊 Hope you are having a great day! Pingback: You CAN Travel Solo | Obey, Serve, Love & Excel.